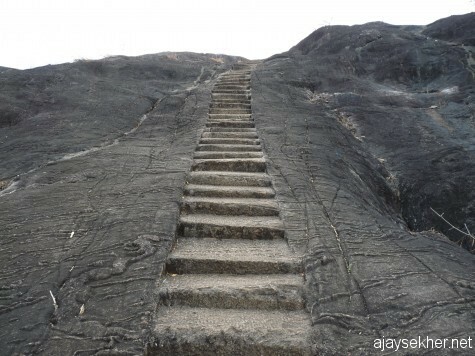 On the banks of the Puthur river or Manalipuzha that originates from Peechi reservoir; stands this huge granite boulder that forms the top of a hillock. 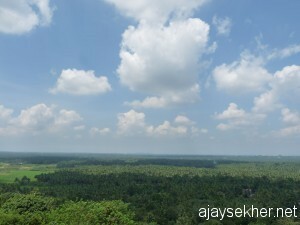 It is just 10km from Thrissur city; towards south east. 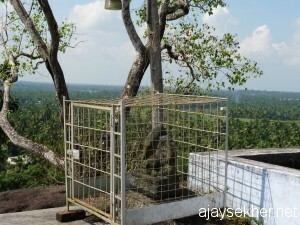 A temple is carved into it that dates back to the 8th or 7th century AD. 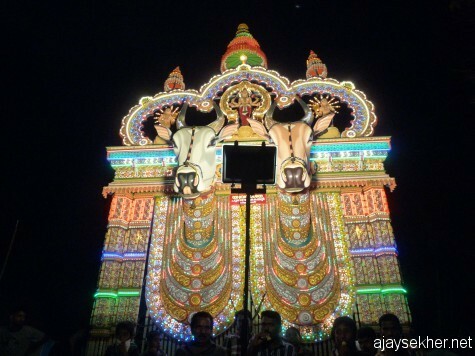 It is held along with the ancient rock temples of Kerala like Vizhinjam, Madavurpara, Kottukal, Thrikkalkudi/Kaviyur, Kallil and Irunilamkod (Sreedharamenon 50). 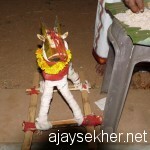 Now it is a Siva temple and enshrines a huge Linga or granite phallus. 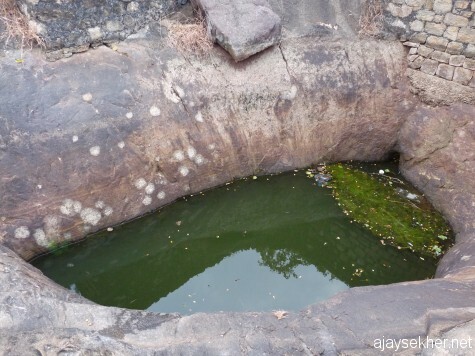 The ‘Swayambhu’ theory propagated by Brahmanism proves that it predates the Hindu Brahmanical conquest from the north that happened only in the 6th or 7th century A D. The stone inscriptions in Pali also prove the Buddhist or Jain origin of the shrine. 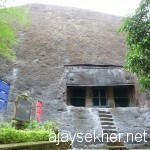 It is one of the few surviving early rock cut cave temples of Kerala that had its origin in the Jain or Sramana cultural phase. 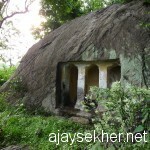 Experts like V V K Valath locate it as a modified Jain shrine. 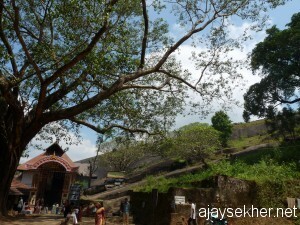 In sight and details it has close resemblance to Kallil temple in Ernakulam district. Some wood carvings found in the temple also resembles Sramana iconography. The front constructions and Mandapas are later additions by the Paliath Achan who got Thalapally Taluk after Cochin recovered it from the Zamorin of Calicut (Valath 201-03). There is still water in the top spring. 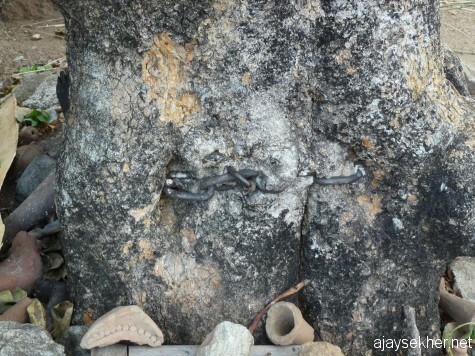 The Ganes idol in granite on top of the boulder closely resembles the one carved in the facade of Kaviyur rock cut cave temple east of Thiruvalla and Jain Ganesh icons through out South India. 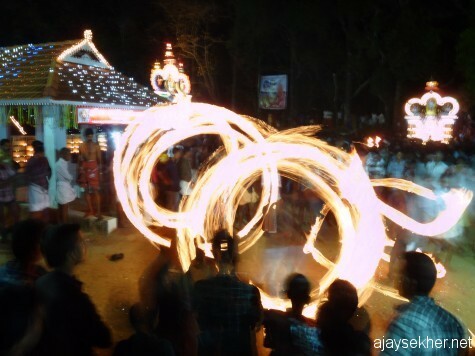 Neighboring hillocks like Ayyappan Kunnu and Chochery Kunnu that are the worshiping centers of the Avarnas prove the antiquity and pre-Hindu or pre-Brahmanical origins of the shrine. 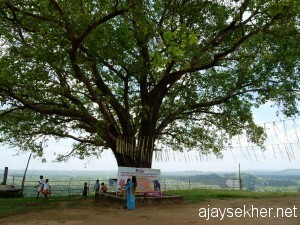 Moreover some healing powers are also ascribed to the temple rock and the ancient Pipal tree towards the west of the shrine. 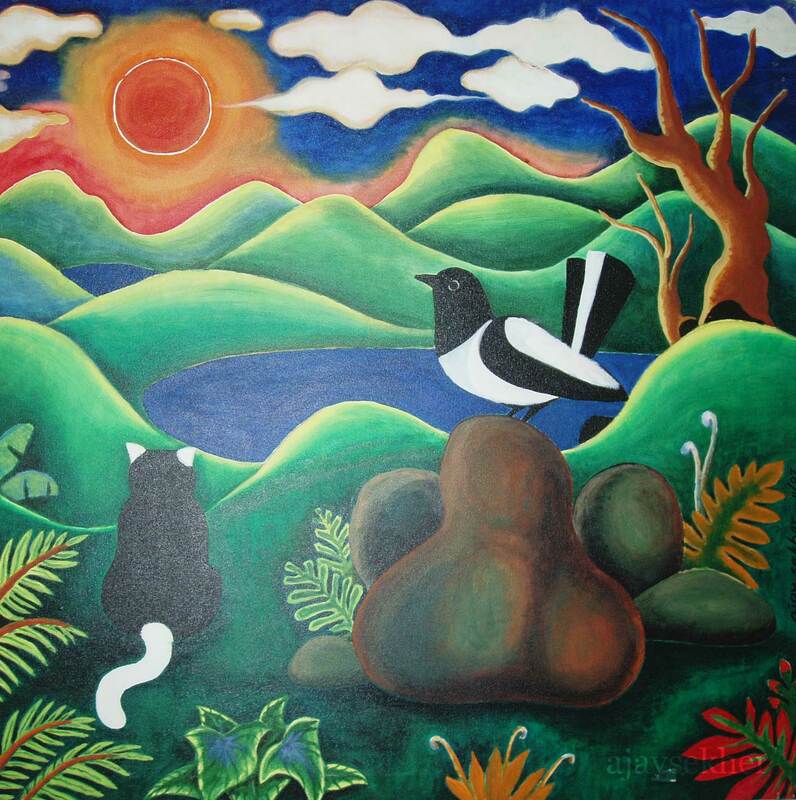 People with respiratory problems find it a healing place of worship. 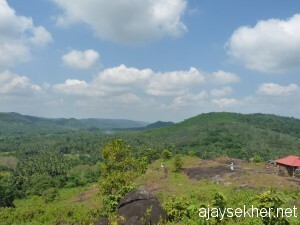 I also visited the adjacent hills of Ayyappan Kunnu and Chocheri Kunnu and found the hillocks spectacular in ambiance and views on the bright sunny morning of 2nd October 2011. 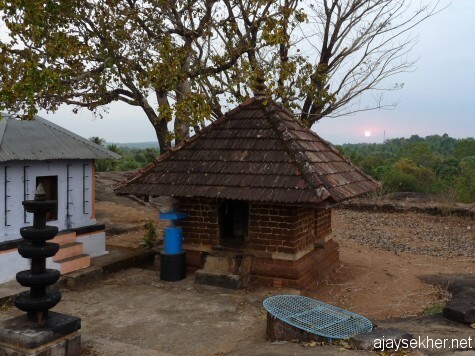 According to historians Thrikkur along with Irunilamkod rock temple sustain the Sramana legacy of temple architecture in Thrissur district. 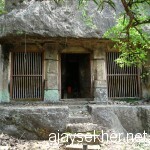 On 5th October 2011 I could visit Irunilamkod rock temple near Mullurkara, between Wadakanchery and Shornur. 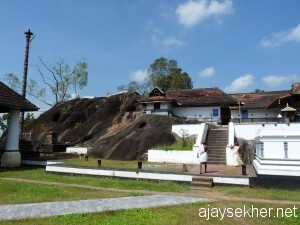 This is also renovated by Paliath Achan in the 19th century. 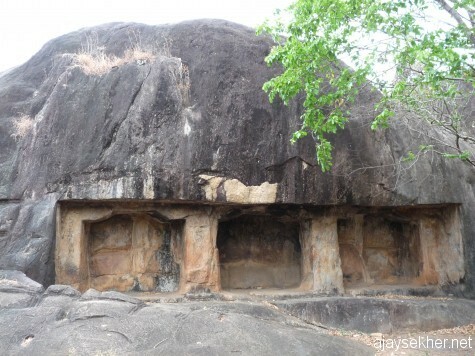 The granite hillock and the Murugan shrine on top along with the technique of carving show remarkable similarity to the Sramana or pre Brahmanic cultural phase of Kerala. Valath observes that untouchable Avarnas were allowed in the temple even before the Temple Entry Proclamation in early 20th century. 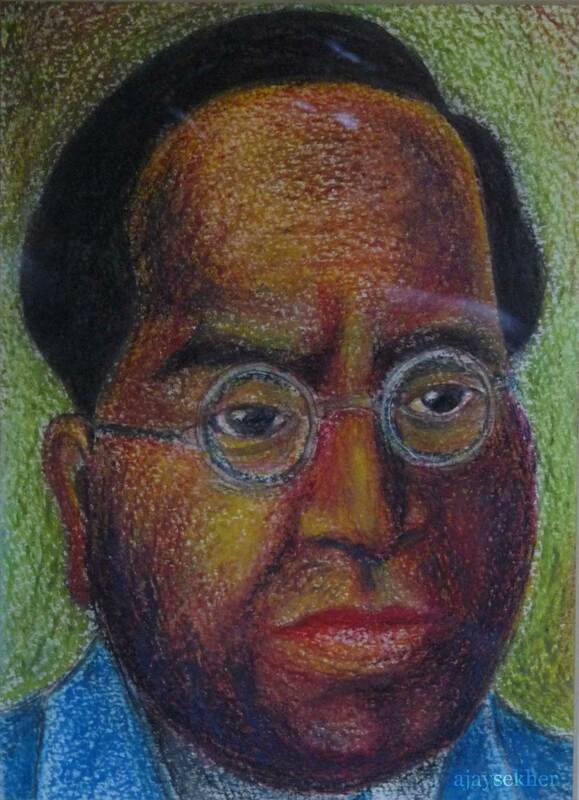 It was with the Avarnas in the hay day of caste and untouchability. This also proves the Sramana antiquity of the shrine; that was modified, Sanksritized and Hinduized later by the feudal lords at the end of the middle ages. 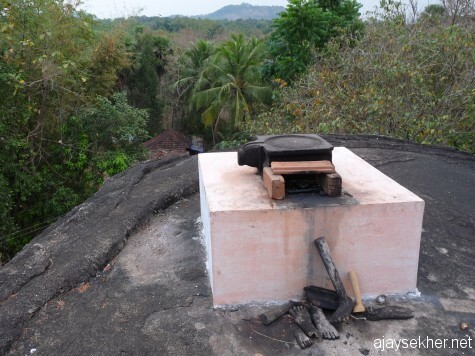 According to experts in local history like Valath; these rock cut temples in Thrissur represent the transition from Sramana to Brahmanical culture in terms of religious affiliation and architecture (Valath 205). 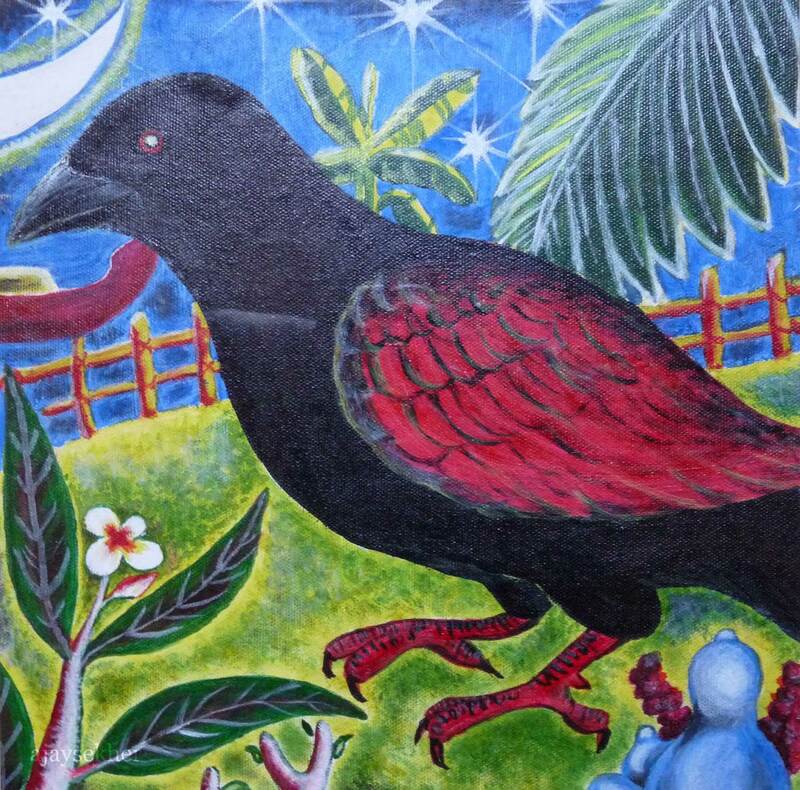 They also hold these ancient monuments in the precious repository of surviving rock monuments in Kerala that fill the gaps and silences regarding our cultural pasts. 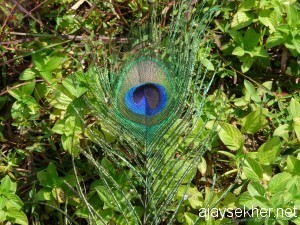 The view from the top of the hill is marvelous and reveals the greenery of surrounding hills and dales and paddy fields. 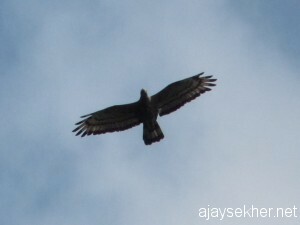 A Honey Buzzard exhibited its acrobatic skills overhead and I got a few peafowl feathers from the top of the hill. 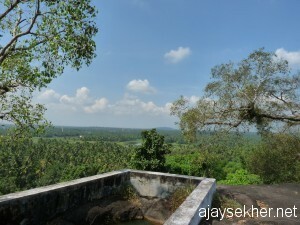 Sreedharamenon, A. Kerala Charithram. 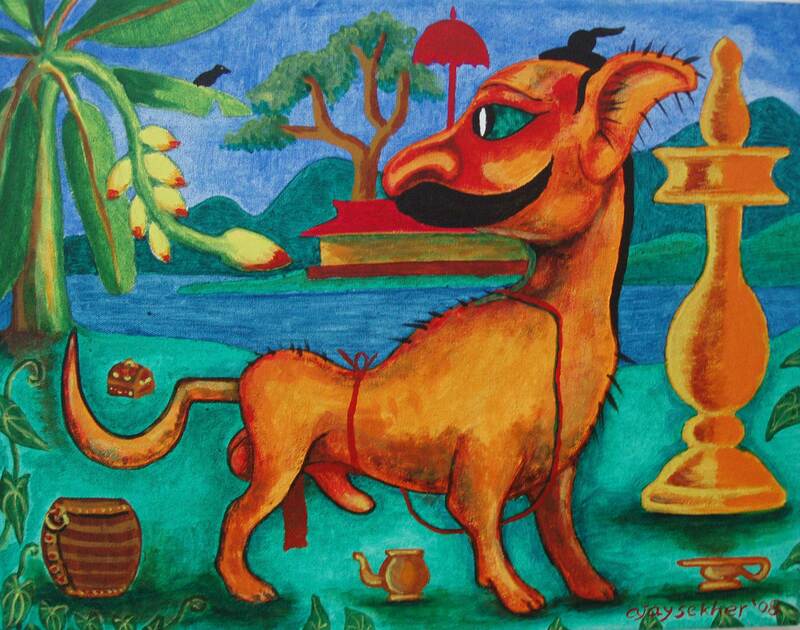 Thiruvananthapuram: Dept of Culture, Govt of Kerala, 1967. 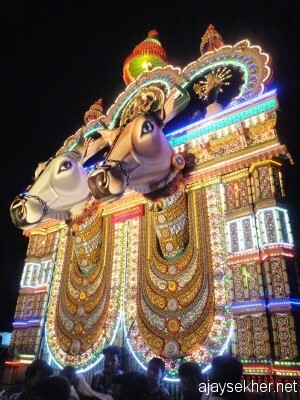 Valath, V V K. Keralathile Sthala Charitrangal: Thrissur Jilla. 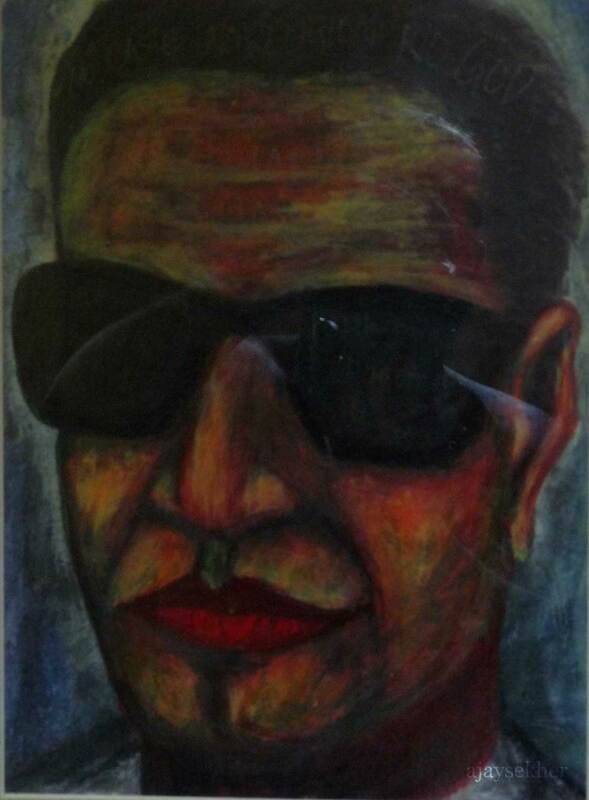 Thrissur: Kerala Sahitya Akademi, 1981. This entry was posted in Culture and Ecology and tagged ancient rock cut cave temples in Kerala, Ayyappan Kunnu, Chocheri Kunnu, Irunilamkod rock temple, Jain temples in Kerala, Kaviyur rock temple, Puthur, rock temples in Thrissur, Thrikkur cave temple, Thrissur on October 6, 2011 by Ajay.